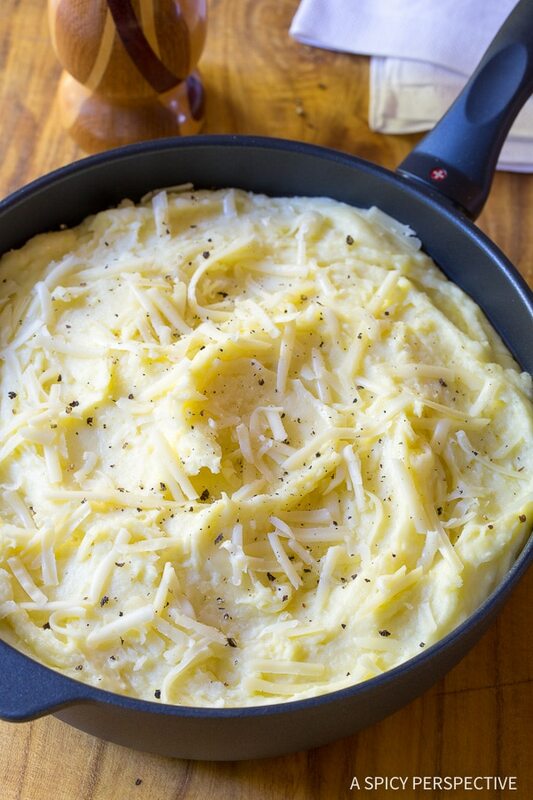 Best Mashed Potatoes Recipe – a simple and cheesy side dish. With our tips to make them fluffy, not pasty, we are sure you will LOVE this recipe! 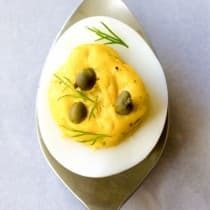 Today I want to share my Best Mashed Potatoes Recipe, because at my house, mashed potatoes are revered as the utmost of decadent comfort foods. Since they are so rich, I don’t make them often. So when I do, I take careful precaution to make sure my mashed potatoes are just right. I’m sure we’ve all had the experience of sitting down to a highly anticipated meal with a heaping portion of mashed potatoes, only to find them gummy and lackluster. What a waste of potatoes and butter! 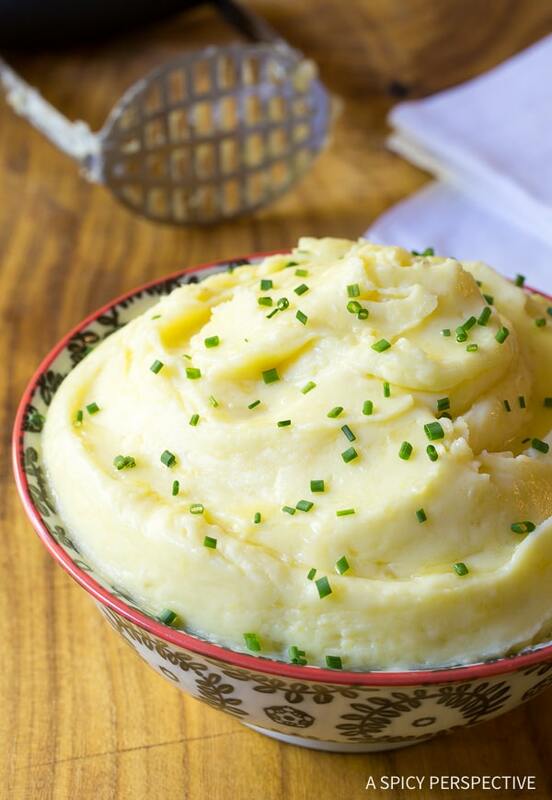 With some tips, you too can make perfect buttery fluffy mashed potatoes every time. Step 1: Use the right kind of potatoes. I suggest going with a starchy buttery-flavored potato like Yukon Golds. 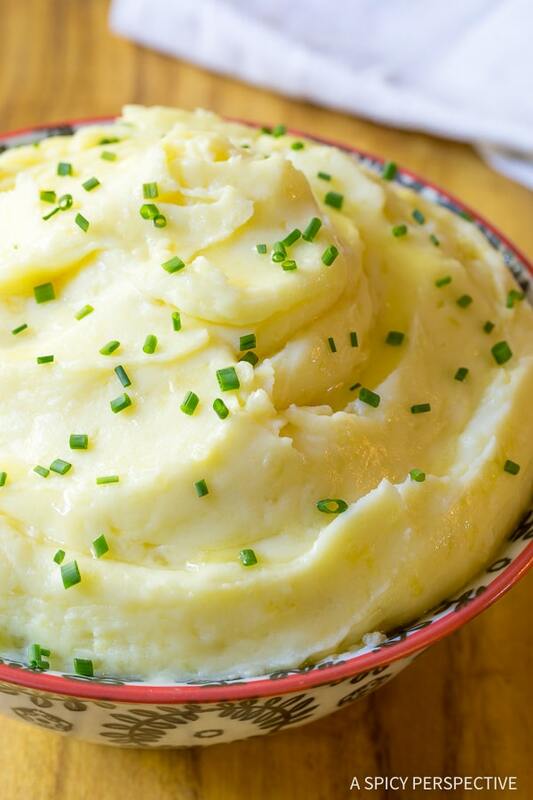 Using potatoes with less starch will create less fluffy mashed potatoes. Step 2: Peel and dunk. Once you’ve peeled your potatoes, don’t let them sit out on the counter and brown. Immediately place them in water so they don’t oxidate. Step 3: Use cold water. Placing the potatoes in hot water creates uneven cooking. Even though it might take a few minutes longer to boil, start with cold water. Step 4: Infuse flavor. Adding salt and garlic while the potatoes are cooking is a great way to get flavor down deep into the potatoes. Toss them in the pot when you turn on the burner. Step 5: Don’t over-cook the potatoes. The moment a butter knife slices easily through a potato chunk, remove the pot from the heat and drain. You don’t want the potatoes to absorb too much water. Step 6: Don’t over-mash the potatoes. The starch in the potatoes is a good thing, but will cause the potatoes to turn gummy if you mash them to death. Before adding anything to the potatoes, mash them well with a potato masher, a ricer (for the smoothest mashed potatoes,) or by beating them in an electric mixer. The moment they are smooth… STOP MASHING. If using a mixer, be extra careful about over-mixing! Step 7: Add warm ingredients. Don’t add cold butter, cream, or cheese to the mashed potatoes. 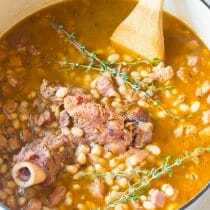 They mix in best when they are warm or at least room temperature. I like to warm the cream and butter prior to pouring them into the potatoes for a nice smooth finish. Step 8: Get cheesy. 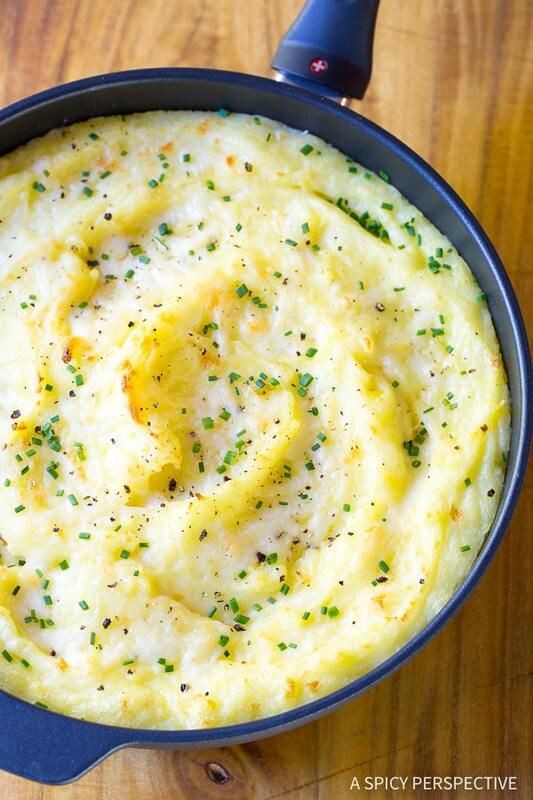 You don’t have to add cheese to mashed potatoes, but why wouldn’t you?! 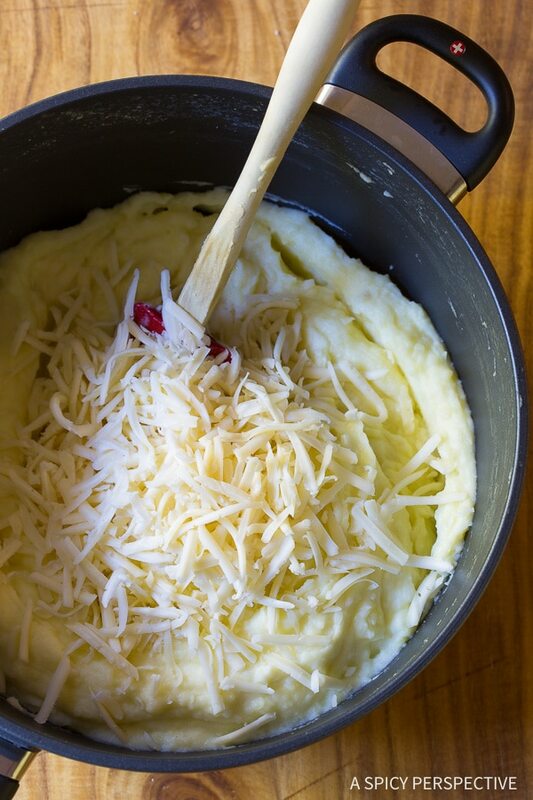 Cheese offers so much flavor and richness to mashed potatoes. 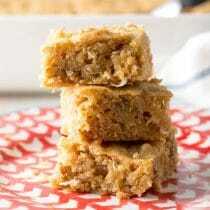 Plus, if you decide to bake them, it offers extra lifting power! Step 9: Season at the end. You added salt to the water at the beginning of the mashed potato process, but don’t forget to taste and season them again with salt and pepper. Step 10: To bake or not to bake, that is the question. If you have time, always bake your mashed potatoes. It also helps if you have amazing cookware to cook them in, like this nonstick, safe, and earth-friendly vessel from Swiss Diamond Cookware. I am crazy (like looney tunes) over this cookware, guys. It’s sealed with a special coating made with real diamond dust so that it is completely non-porous. No pores, means no sticking. The mashed potatoes just slide right out. Plus Swiss Diamond Cookware is oven-safe! Check Out The Recipe Card Below For How To Make The Best Mashed Potatoes Recipe. Enjoy! The Best Mashed Potatoes Recipe is a simple and cheesy side dish. With our tips to make them fluffy, not pasty, we are sure you will LOVE this recipe! Set out the cold ingredients to bring to room temperature. Set a large pot of cold water on the stovetop. Peel the potatoes and cut into 1-inch cubes. Add them to the cold water immediately so they do not brown. Add the garlic and 1 tablespoon salt to the water and bring to a boil. 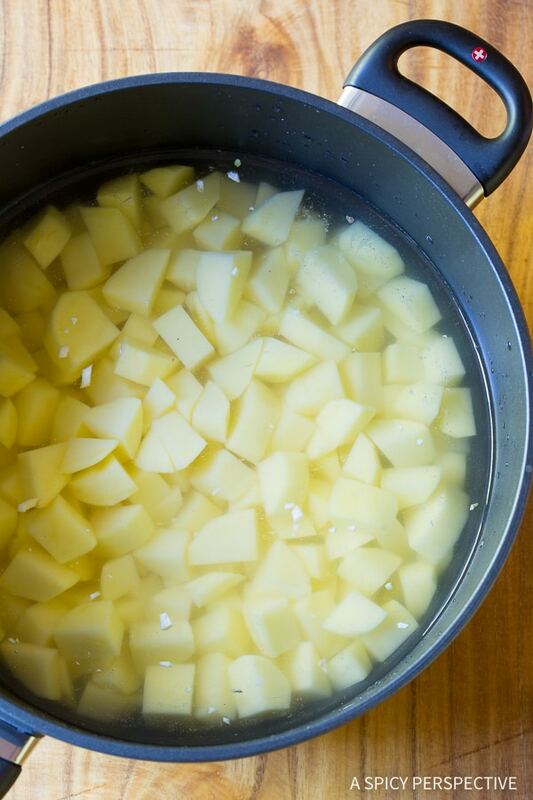 Once boiling, lower the heat and simmer for 10-14 minutes, until you can easily cut the potatoes with a butter knife. Drain the potatoes and immediately mash. Do this with a potato masher, or by placing them in the bowl of an electric mixer and beating. Mash the potatoes until almost completely smooth. Do not over-mash. Place the butter and half & half in a microwave-safe bowl and warm so that the butter melts into the half & half. Baking instructions: For a crispy top, preheat the oven to 350 degrees F. Scoop the mashed potatoes into a large sauté pan. Sprinkle with an additional 1/2 cup shredded fontina cheese, and bake for 20 minutes. Once out of the oven sprinkle with chopped chive and serve warm. Can't find fontina cheese? Use any easy-melting cheese you like! Disclosure: This post is sponsored by Swiss Diamond Cookware. All opinions are our own. Looks good! Ever tried mashing a day ahead and baking just before serving? What are the actual measurements for the ingredients. How is a cup an accurate measurement, cups come in different sizes. What is a good substitute for fontina cheese? The mashed potatoes looks so delicious. 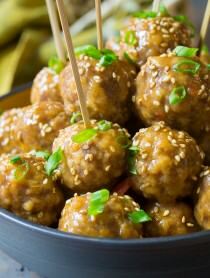 I want to try this recipe and serve it with meatloaf. Hi Amanda! Usually 1/2 cup is an appropriate serving, but that is at your discretion. If you don’t like lumps in your mashed potatoes, try using a ricer! I enjoy your recipes! Thank you for the giveaway! 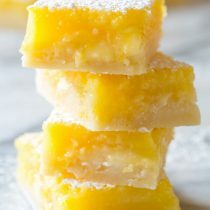 Gonna make those tonight yum! I truly believe these are the best baked potatoes!! And this giveaway is spectacular! 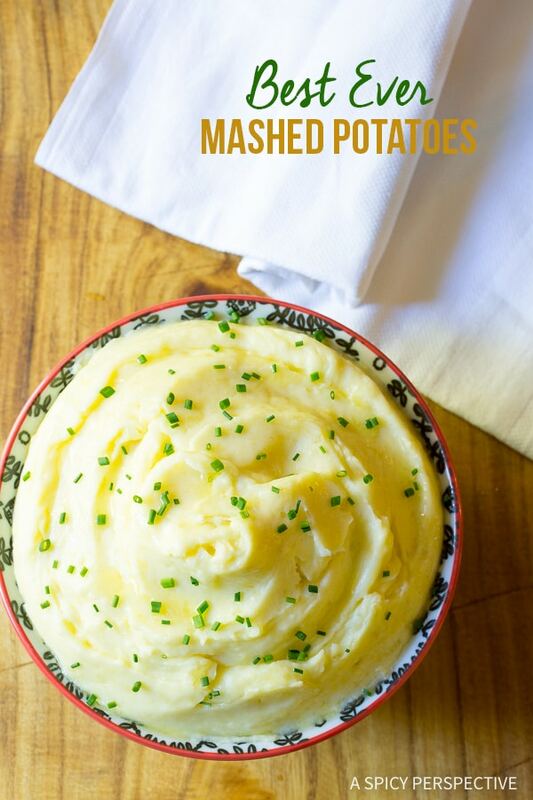 These look like the PERFECT mashed potatoes! Definitely going to have to use your tips and tricks for the holidays! Great tips! I’ve never baked my mashed potatoes before. Definitely going to try that! I love that every once in a while you break down the most basic of recipes and yet I always find tips that are true gems. 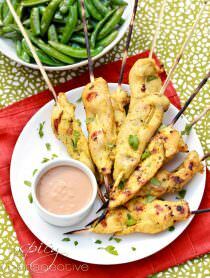 Will be making this recipe on Tuesday night! And thank you for this fabulous give-away. Thank you for introducing me (us) to the Swiss Diamond Cookware. The line looks incredible; the (Swiss) technology seems to be just what we need to make life easier, safer and …more beautiful! in the kitchen. The Spicy Perspective newsletter entry doesn’t seem to be working. Hi Sandra, Fixed!! Sorry about that. I can’t even find the place for the prompts. Hi Susan, Click on one of the four options below the image in the entry form. Good luck! Hi. Great giveaway. However, when I click on the Subscribe button for your mailing list, nothing happens. I then filled in a comment and clicked on Enter, and again nothing happens. I was able to complete all of the other entries so I hope you’ll consider me completely entered! Hi Sally, sorry about that. All fixed! I love these mashed potatoes and all the cheese! it’s not allowing me to enter the second entry. filled it out and it says it’s not so I can’t submit. Hi Laura! My apologies… It’s fixed! According to my hubby, I don’t make mashed potatoes nearly enough! I will treat him to your luscious, cheesy version soon! Those potatoes look fantastic and wow what a giveaway!! These are great tips! Looking forward to having marvelous mashed potatoes in a few weeks on the Thanksgiving table. Thanks! Wow, what a massive giveaway! 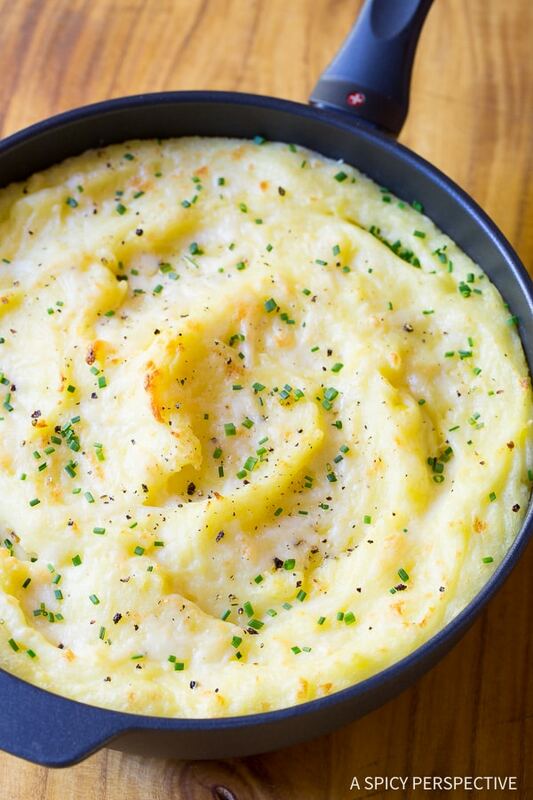 The mashed potatoes look so creamy and perfect! 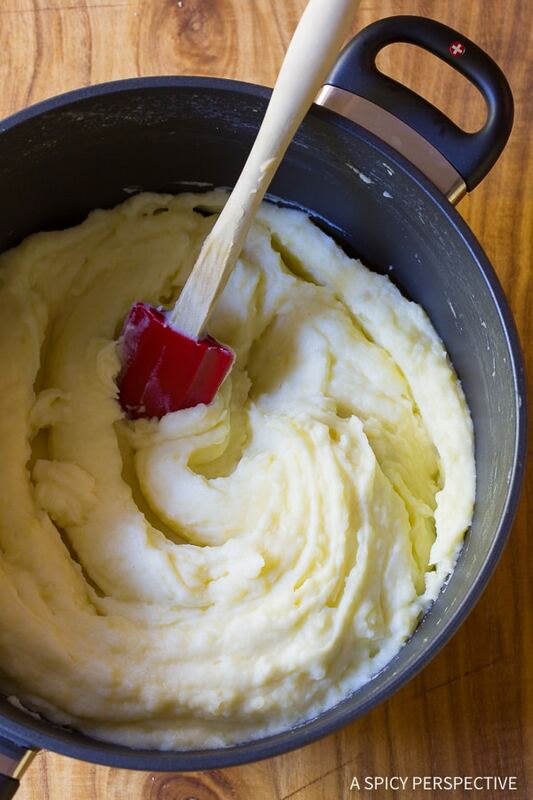 Love all the great tips on making the best mashed potatoes ever! 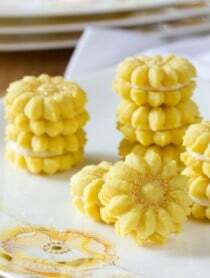 These need to be on my thanksgiving table this year! They look so creamy and fluffy!